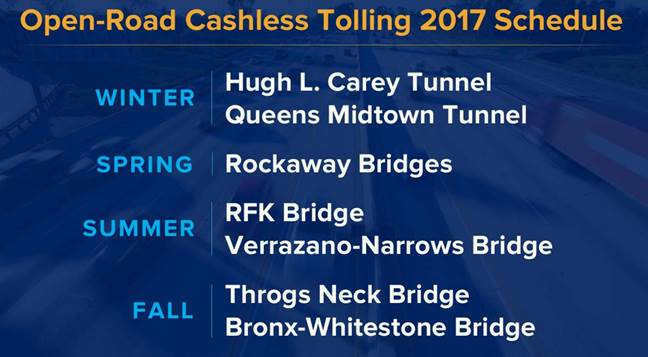 NEW YORK (WABC) -- The RFK Bridge will make the switch to cashless tolls Thursday, that latest MTA crossing to adopt a no cash, no problem approach. The agency plans to remove toll booths from all its New York City bridges and tunnels over the next year. All of the toll booths will eventually come down, eliminating the need for drivers to stop and reducing pollution. Every vehicle coming through now gets scanned, and drivers with E-ZPass are charged while everyone else will get a bill in the mail. Officials hope it will help reduce backups and save about 1 million gallons of fuel a year. 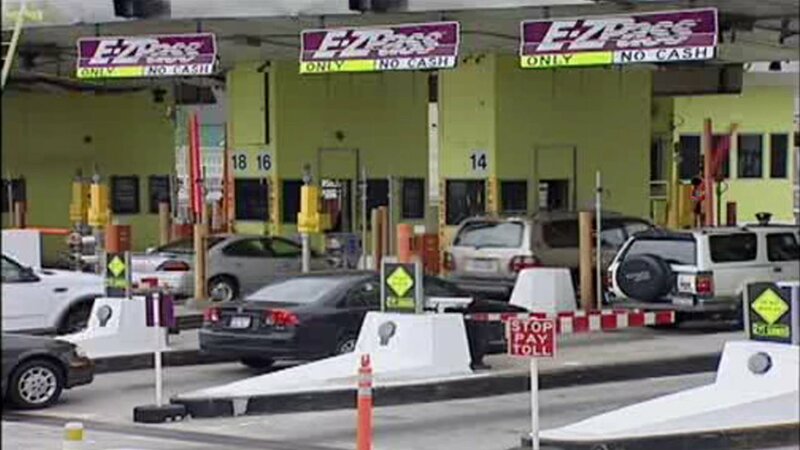 Toll prices will not change, and E-ZPass users continue to receive a 30 percent discount.